Making the thread of a lotus. Burmese woman made yarn. Weaving mill on Inle Lake. Silk from a lotus. Burmese woman spins on the machine. Distaff in a textile factory. Production of textiles. Myanmar, Yangon. 18/11/2013. Local asian man shows the way. The guide tells the story. Close-up of asian man. Ferry floating with people on the river. 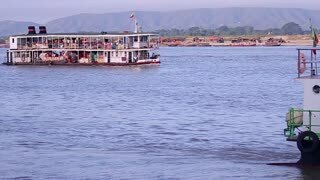 Burmese old excursion ferry. Asian man sitting in a hammock amongst the city. Burmese man rests in a hammock on a city street. Local builder. A Boa Constrictor on a bamboo stick. 1080p HD. Golden Thai Python (Python bivittatus) snake to open the mouth. Kids leave a small school in rural China. 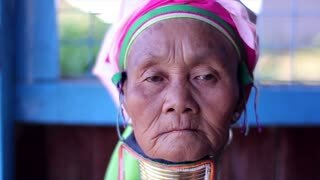 Native Burmese women. working together. washing clothes by hand on the muddy shore of Inle Lake.